Last year, we brought you the story of a Miami-based CPA that was indicted by a federal grand jury on several criminal charges related to tax evasion. Darryl Sharpton, now 61, initially pleaded not guilty to charges including (1) willful failure to collect or pay over tax, (2) willful failure to file a return, supply information, or pay tax, and (3) attempt to evade or defeat tax commonly called tax evasion or tax fraud. Recently, at a hearing before District Court Judge Cecilia Altonaga, Sharpton opted to change his plea from not guilty to guilty and last week; the same judge sentenced him to serve 39 months in a federal penitentiary. According to prosecutors and a statement of facts signed by Sharpton that was presented to the court during his hearing earlier this year, Sharpton filed returns, but failed to pay the taxes assessed, for tax years 2004 through 2008 and 2010. Additionally, authorities allege and Sharpton acknowledges that he failed to file income tax returns for tax years 2011 through 2016. Sharpton’s attorney painted a picture of Sharpton’s tax predicament as a stressful and unfair series of events that involved a failing financial services firm and an inability to catch up with tax payments. As we previously reported, Sharpton owned the Miami CPA firm The Sharpton Group, which “specialized in financial and management consulting, audit and attestation, and tax and wealth planning.” Sharpton’s attorney explained that his client’s business partner left Sharpton high and dry with a lack of money, clients, and employees. Trying to keep his failing firm afloat, Sharpton found himself on “a treadmill and he couldn’t figure out a way to get off”, according to his attorney. Other taxpayers who are behind on payments or have not been filing returns should seek non-filer assistance from a tax attorney. The statement of facts signed by Sharpton provides a glimpse into a reality that is much less sympathetic. In court documents, Sharpton admits to intentionally failing to pay his tax liability. When the IRS made efforts to collect his debt, Sharpton admitted to using his financial service firm’s bank accounts to pay for personal expenses, thereby thwarting the IRS collection efforts. In addition to being sentenced to serve over three years in prison, Sharpton was ordered to spend three years under supervised release upon his release from federal incarceration. Finally, Sharpton was ordered to pay restitution to the IRS in the amount of $1,380,602. Although the government doesn’t consider it an excuse, many taxpayers have felt the way that Sharpton did. Once you get behind on your taxes, it becomes increasingly difficult to get caught up. Some liken it to treading water: you are able to barely stay afloat, but you aren’t truly getting anywhere. Many taxpayers eventually give up and stop trying to comply with tax filing and payment requirements altogether. Although it’s an easy trap to fall into, it is dangerous. As Mr. Sharpton found out at his sentencing hearing, the government isn’t interested in hearing about how or why you failed to pay your taxes. They simply want you to pay up and face criminal charges if you willfully failed to comply with federal tax laws surrounding filing tax returns and paying tax. If you have found yourself treading water or are the subject of an IRS examination, it is in your best interest to contact an experienced tax attorney. Not only can a tax defense lawyer analyze your case from a technical tax perspective, he can also ensure that the government is following the law in their inquiries. The sooner a tax attorney is involved in the case, the higher the likelihood a favorable resolution can be achieved. 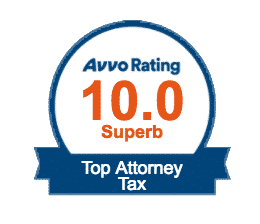 The tax and accounting professionals at the Tax Law Offices of David W. Klasing have extensive experience representing taxpayers from all walks of life in a myriad of tax predicaments. Whether you are a small business owner facing a sales tax audit or a wage-earning employee that is the subject of an IRS or state tax examination, our team of zealous advocates is standing by to help assist you in developing a strategy that will aim to protect your physical and financial freedom. Do not let the IRS or state tax authorities keep you up at night. Contact the Tax Law Offices of David W. Klasing today for a reduced-rate consultation.